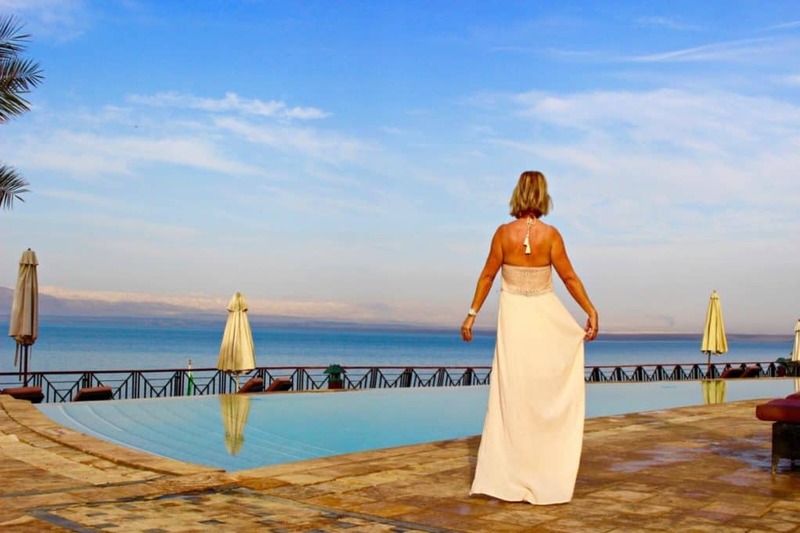 Are you wondering which hotel to book by the Dead Sea in Jordan? Well, wonder no more! Book this one immediately. 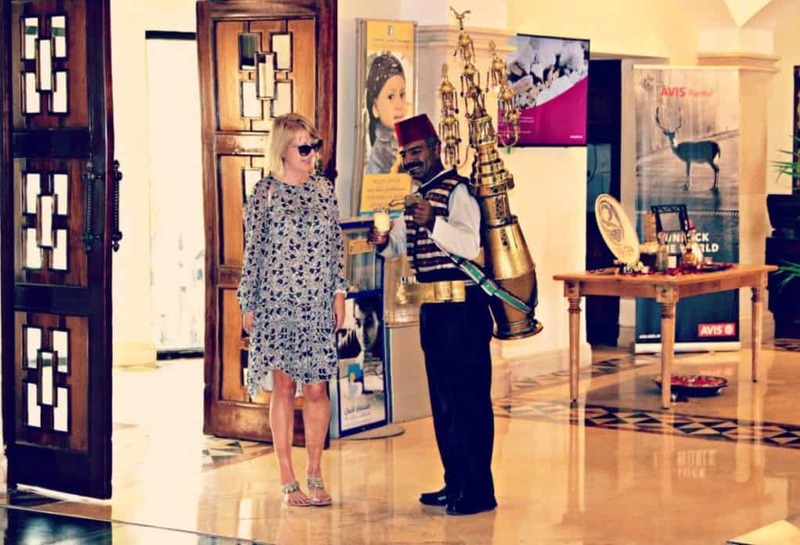 It is a very special hotel in Jordan. Magnificent, traditional style set in exquisite gardens nestled above the Dead Sea. This definitely has the Diva seal of approval! 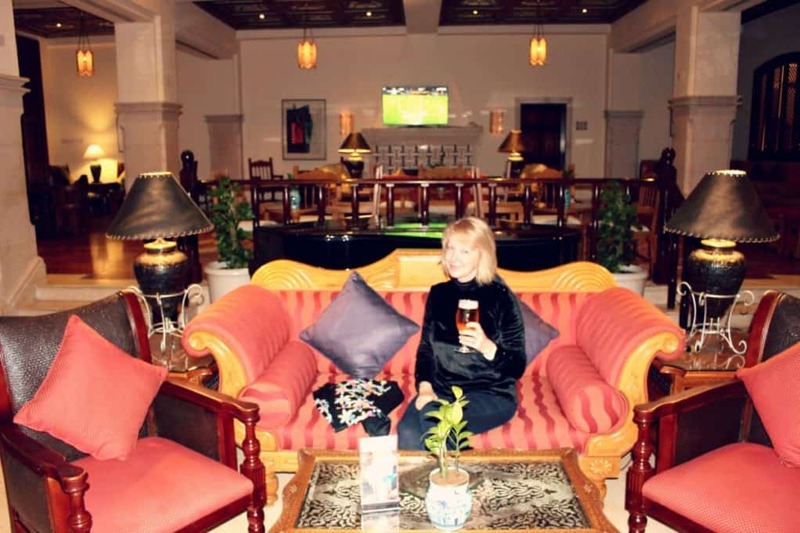 Here is my Movenpick Dead Sea Resort Jordan Review. You will receive a very warm welcome and a delicious refreshing lemon drink. The vibe at Movenpick Dead Sea is relaxed, calm and friendly. I was so laid back the whole stay! This has a lot to do with the friendly and helpful staff. A great hotel alway has efficient staff. Nothing was too much trouble and I felt very at home. Enjoy the beautiful lobby, I hope my photo does it justice because it is magnificent. You will feel immediately at home here, the traditional decor is just beautiful with magnificent ceilings painted by artisans. Splurge on a beautiful suite like this one! Definitely worth every penny. However, all the rooms are lovely no matter which you choose. I enjoyed Suite W22, looking out over the Dead Sea and enjoying magnificent sunsets every night. A very chic living room leading onto a a large well appointed bedroom. Enjoy the free mini bar with soft drinks, Nespresso machine and mineral water. 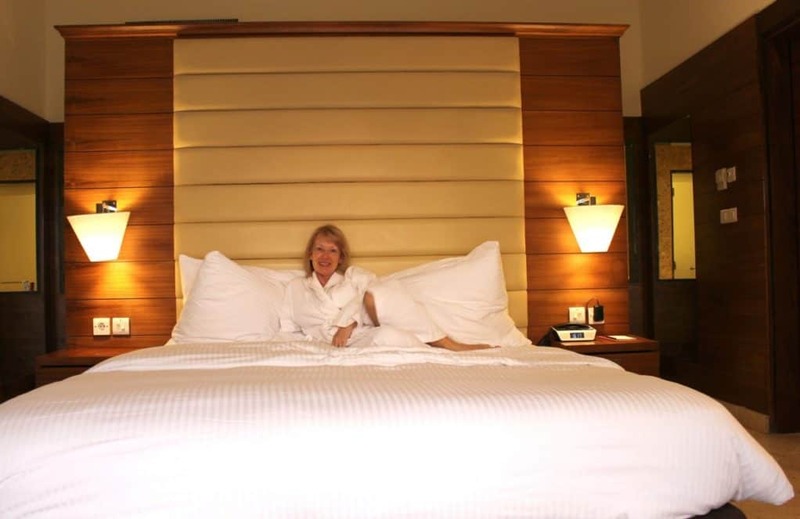 Do you agree the most important thing is a good nights sleep? THE most crucial thing for me for sure! This huge bed was super comfy and I slept so well. I also write in bed every morning and this was so luxurious here. My personal bug bear about hotels is the lack of wardrobe space, too few coat hangers and big mirrors. No problem here at Movenpick Resort Dead Sea. There is a huge dressing room area with enormous wardrobe space and lots of hangers. Large mirrors too, perfect! Plenty of electric sockets too. The Bathroom was absolute bathroom heaven, a choice of large bath tub (another of my personal heaven ‘must haves’, I love a bath, don’t you?) and large walk-in Shower. You will love the little touches such as fresh flowers, great array of Dead Sea products and so much more! The bathroom is HUGE and one of the best I have enjoyed. The terrace for Suite W22 is a wonderful space to enjoy. Take your Room Service meals on the outdoor table and sunbathe privately on a sunbed looking out to sea. Do you prefer a warm or cold swimming pool? Well, find both here! Of course, the most magical part of a stay here is the Dead Sea! Situated on the lowest point ON EARTH, 400 metres below sea level and the most extraordinary place to visit at leat once in a lifetime. Float on the sea, absorbing the Dead Sea minerals into your skin. First smother yourself in Dead Sea mud then enter the sea and float blissfully around. Then find that it is impossible not to relax and be totally zen for the whole of your stay. Then you will be so chilled out….. I can honestly say this is the most relaxing place I have ever visited. A totally lazy few days for me! 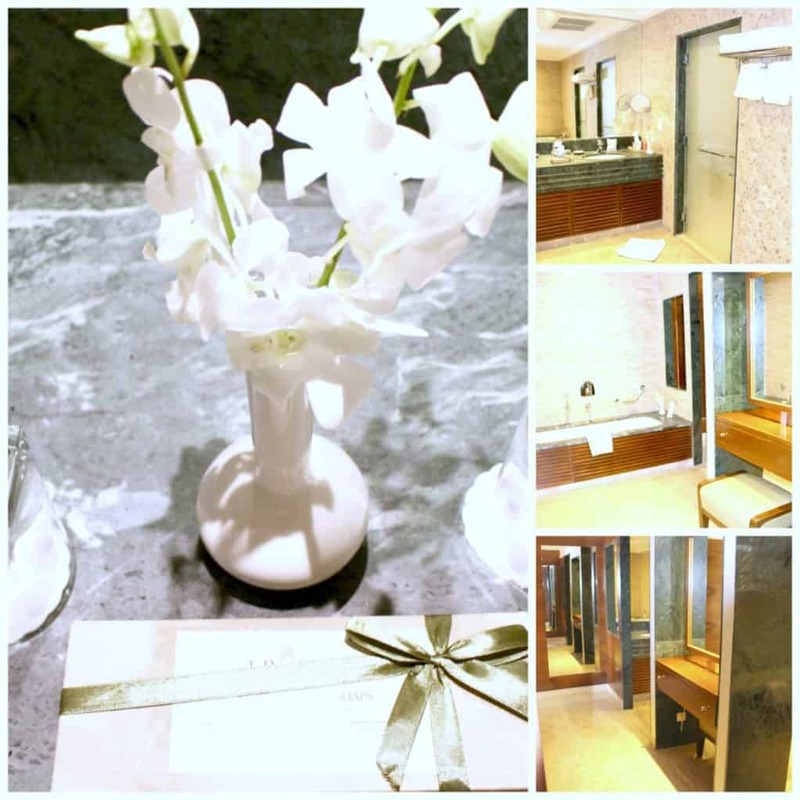 Enjoy Spa treatments at Zara Spa. This was closed during my visit so I couldn’t take pics for you. The medical facility was open but is exclusively for patients receiving treatment. The Spa looks magnificent, so make sure you book up. The Movenpick Resort is set in 20 acres of lush gardens, beautiful designed and landscaped and it is a pleasure to stroll through the resort. 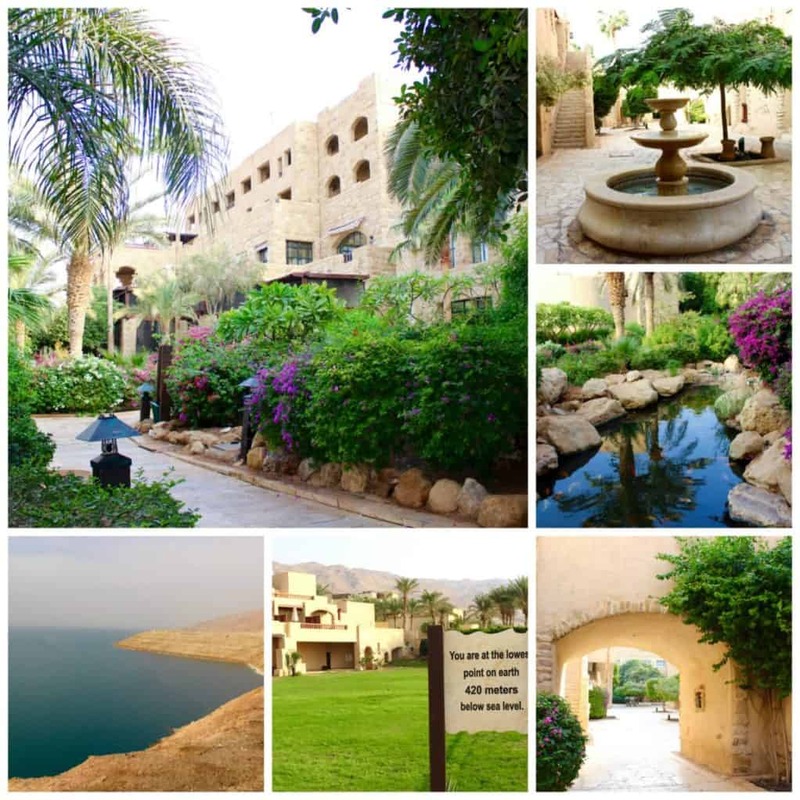 A few snapshots above of the Dead Sea and gardens at Movenpick Resort. Breakfast, lunch and dinner at this fantastic buffet restaurant. A feast at every meal! Enjoy a warm, inviting ambience with candlelight and great food and wine. A great choices of steaks and the most enormous Prawns which were delicious, pictured above, with an extensive wine menu. Jordanian wine is very good indeed, enjoy sampling all the different varieties during your stay. Enjoy drinks and snacks in this gorgeous bar. Don’t forget Happy Hour! A dizzying choice of nine restaurants,bars and Cafe’s means you will never be bored. 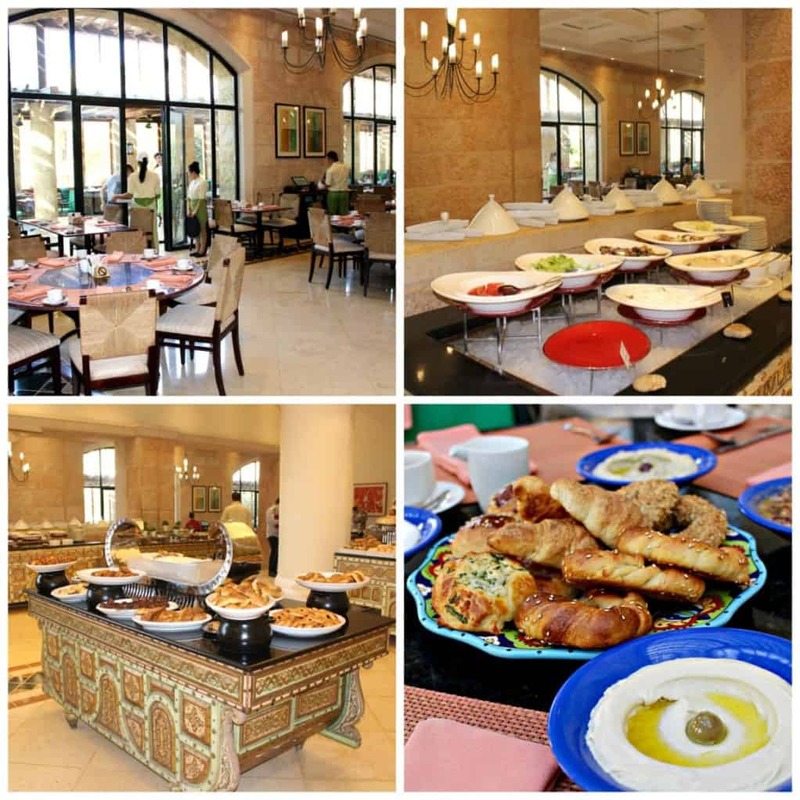 The Movenpick Dead Sea Resort Review. 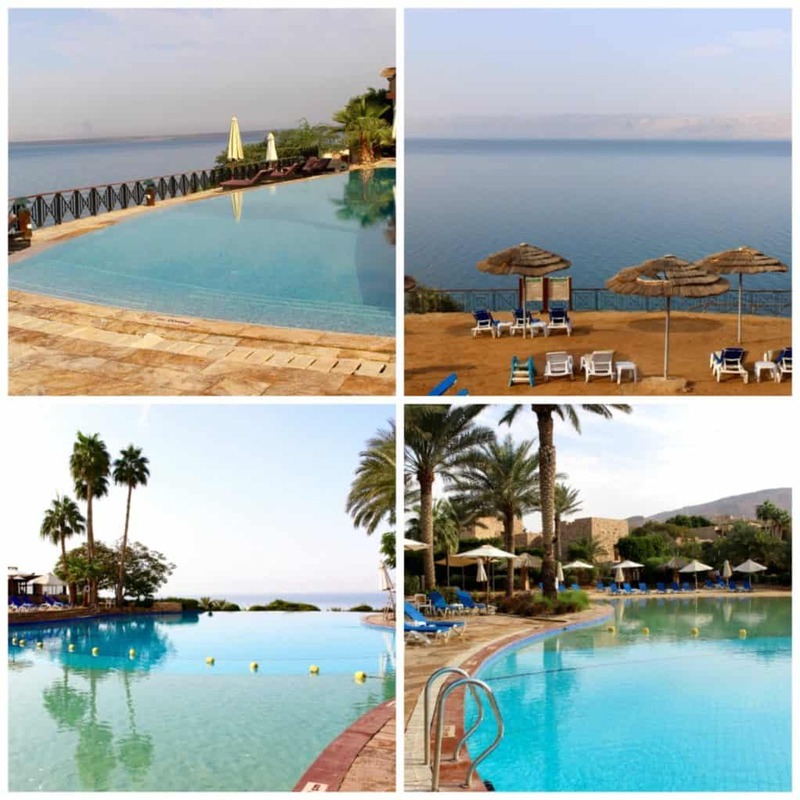 Do let me know if you would like more information about the Resort or The Dead Sea, just message me. Regular Diva readers will know that my favourite treat in a hotel is Room Service. Such a lovely treat! Room Service and watching the Sunset at the same time, how lucky am I? 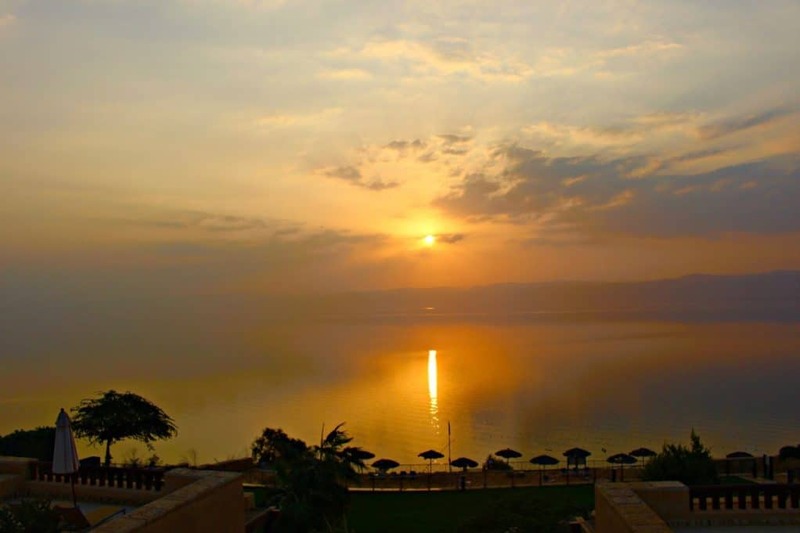 Enjoy the magnificent sunsets every evening at Movenpick Dead Sea Resort. I arrived by car, arranged through the Movenpick Dead Sea Resort. This cost me 55 JD for an airport transfer. The same Limousine company arranged for a car and driver to take me to Petra and back too. The cars are comfortable and the drivers are very good drivers. My driving licence ran out the day before I arrived in Jordan which is why I didn’t self drive! Blonde Diva moment again…. the roads are perfectly safe and it would be easy to drive in Jordan. Definitely try and visit Petra if you have time. It is an easy 3 hour drive. 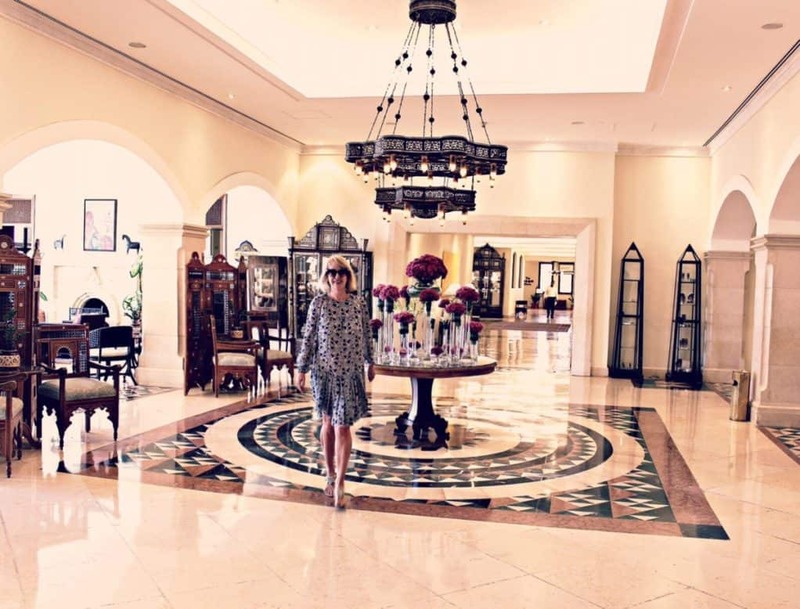 Read my review of Movenpick Resort Petra. I travelled all around Jordan and felt perfectly safe at all times. Jordanian people are polite and friendly and respectful of women travellers, if a little surprised that I was alone! 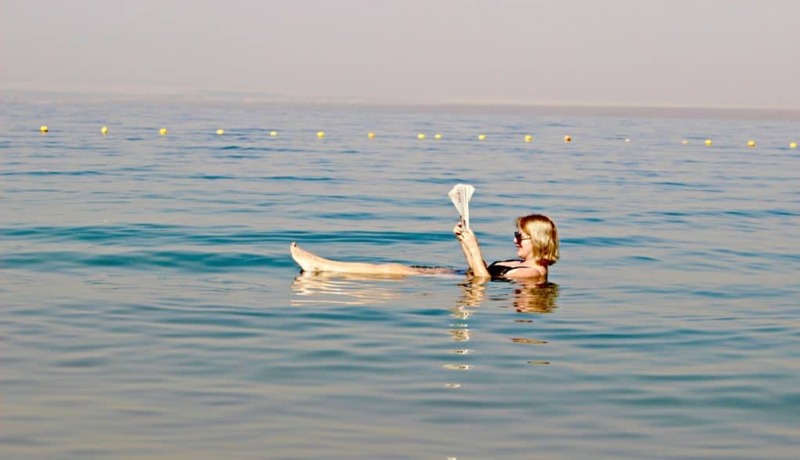 I travelled in November, the days were warm about 24 degrees on the Dead Sea with slightly cooler evenings about 18 degrees, when you will need a shawl or jacket. Normal swim wear at the pool and beach, chic casual at the resort. Covered arms and legs when travelling around the country, to protect from the sun and to respect the cultural tradition. Wandering around alone, I tend to cover up more. Take a Magnesium supplement for a couple of weeks before dipping in the Dead Sea. I have no idea if this is true! But, I did and avoided any red skin rashes with my very pale skin after reading that it is a good idea.